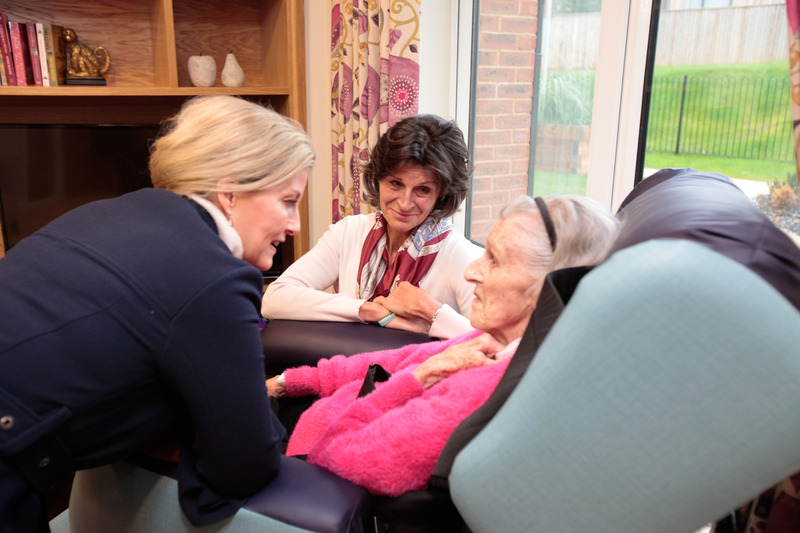 The Countess, who has been Patron of the Brendoncare Foundation since 2003, opened the new facilities where couples can live together, if one of them is living with dementia. 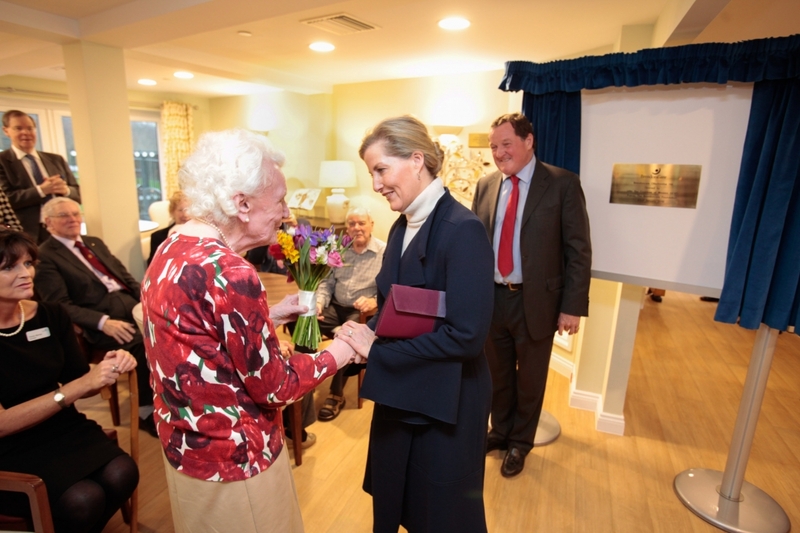 The Countess of Wessex visited Brendoncare Otterbourne Hill to open the charity’s new care home and pioneering dementia service, Shared Care. Otterbourne Hill is unique in the UK offering a community hub, a care home and shared care apartments for couples if one is living with dementia all under one roof. During the visit, The Countess met residents benefiting from the new service, including Geoff and Jean Groves – who have recently moved into the new facility. The Countess met family members, staff and supporters of Brendoncare, of which HRH has been Patron since 2003. The Countess last visited Otterbourne Hill in 2016 to mark the start of the new service’s construction.